You have been sent to this link by our customer support staff for important information we need to share with you before we can make and ship your order. Currently we are holding your order as "pending verification" and are unable to manufacture and ship without your help. The billing address provided by you at check-out for your payment card does not match that associated with the card according to your card company. The billing zip code or postal code provided by you at check-out for your payment card does not match that associated with the card according to your card company. The billing address and/or zip or postal code provided by you at check-out for your payment card was within one country, but the order was placed from another country according to the computer/device location’s unique IP address recorded at time of online purchase. These issues are usually quickly and easily cleared up (see below), but are the most common ways for our secure check-out procedure to detect the possibility of potential fraud. One or more of these reasons is why we are unable to make and ship your order as quickly as we’d like to be doing so (like, right now!). As customers in the "digital age" where identity and credit card fraud is rampant, sometimes proving your identity can be a frustrating hassle and the likelihood is that you are who you say you are. However, if our merchant account won't insure our small business against the possible loss of fraud, for us it is better to simply refund money rather than suffer a chargeback from Mastercard, Visa, American Express, or Discover in the case where there is at least some possibility that the card owner did not actually make the purchase and later disputes the amount paid to our company. We always try to avoid even the possibility that we might be selling to someone trying to commit identity theft it if we can. What this means for us: we may lose a sale and possibly anger a customer by sending you this letter, which as an executive with this company I assure you is certainly not our intent. What this means for you: We stand ready and willing to immediately refund you the amount paid to our company if that is your desire. However, we’d prefer to ask that few minutes of your time for the help that I mentioned at the beginning of this letter. If you have the credit/debit payment card you used to make your original purchase in front of you, we’d like to ask you to complete an immediately refundable $2.00 verification charge using the link below. When you visit this link, add the product to your cart online and check-out again to make this $2.00 online verification purchase, please be sure to use: a) the correct billing address and zip or postal code, and b) the correct CVV code. -- If you’re out of your home area and haven’t notified your bank or credit/debit card company to expect charges while you travel somewhere other than you live, it would help if you called the company before completing the verification charge and let them know “Hey, you know I live in Country A but I’m currently in Country B and want to make sure any purchases I make aren’t flagged as possibly fraudulent.” They’ll take care of that for you, and typically right away. -- If you’re genuinely surprised by this message and/or unsure what billing address and/or zip or postal code your credit/debit card company has for your official billing address, we also recommend calling them to sort things out. We are unable to do this for you, unfortunately, because we do not store your complete payment data (for your protection). The immediately refundable $2.00 identity/card verification charge is only meant to have you privately share with our merchant account company the billing address street, zip or postal code, and CVV code that match what your credit/debit card company has on file for your account with them. Once verified with the correct billing address, zip or postal code and CVV code, we will immediately refund the $2.00 verification purchase to your payment card same or next business day and send your original order into manufacturing. Please do not hesitate to call or email if you have any questions or concerns. You can reach us at U.S. toll-free 888-355-2484 Monday to Saturday 10am-8pm EST, or simply reply to any email communication sent to you by @cubiczirconia.com. As a second option, if dealing with your bank or credit card company is not convenient at this time, we can also refund your original purchase and accept another purchase of the same item using any other different payment method. We accept Visa, Mastercard, American Express, Discover, Paypal, Google Wallet, and Dwolla online or the first 4 options over the phone. Please let our staff know what you decide via phone or as a reply to any email sent to you from @cubiczirconia.com, and again I regret this hassle happened this way, and at times causes an innocent customer a bit of extra work to get the product they purchased. For what it's worth, probably more than half the time, this scenario happens to great people just living a travel-heavy lifestyle most people would envy, an they didn't know their credit/debit card company would flag the transactions they made while out-of-town as possibly fraudulent. :) Luckily, we’ve found that these very same people often appreciate the way we do things…even if due to time constraints it takes a letter I can’t send personally to each of them to explain the how and why of what we do to protect our customers from identity thieves. We hope to serve our real customers for years and decades to come, and provide an example for other businesses that identity theft does not need to be tolerated (and good customers shouldn't be made to pay extra to cover the business's losses because of it). Thank you for choosing CubicZirconia.com and for your time. Q: I want to help because nobody likes identity thieves but this seems like you’re insulting me! Why don’t you believe I am who I say I am? A: I’m personally always striving to be a man of my word, and so I can see how it may look to you if I were in your shoes, to maybe feel offended. However, please consider that in a world where it seems like the price for everything only goes up…at CubicZirconia.com we have actually decreased our prices in the last most recent two years on most product types we sell, and one of the reasons we’re able to do that is we don’t have a “loss prevention” department and separate staff member(s) to handle it like some large retailers that deal with dozens or even hundreds of potentially fraudulent orders every day or week (and pass the cost of paying wages to these staff members who combat identity theft on to their other customers that are NOT identity thieves). Just FYI, the average charge-back initiated with our company costs more in time and staff attention to deal with than the original sale was likely worth in profit. We’re talking honestly about a time-sapping, soul-grinding, tooth-pulling process you wouldn’t wish on your worst enemy! We like having a happy staff, and happy staff don't enjoy root canal surgery, even if they're being paid for it. :) In all seriousness, charge-back possibility aside, also if we go ahead and fulfill an order our merchant account won’t insure because of inaccurate billing information, as a contract-manufacturer that keeps their prices competitive by not carrying inventory and making every piece to order, a charge-back because of a fraudulent purchase by an identity thief also leaves us with valuable merchandise made and shipped to someone we thought was a customer but turned out to be a con artist. A double loss! We don’t want to increase our prices and pay extra staff to deal with tooth-pulling banks and credit card companies and handle quite-understandable complaints from innocent, hard-working credit and debit card owners that have no idea who or what CubicZirconia.com is because they were ripped off by an identity thief trying to use our online store—and our good name—to facilitate theft. Instead, we do this. I hope you’ll understand. 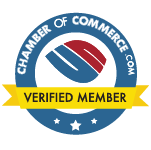 This quick verification benefits real customers of CubicZirconia.com 2 ways: it helps us keep our prices competitive, and it makes honest people, hopefully like you yourself, feel that you are right trusting us now and in the future with online orders because we don't cut corners or expose financial information to risk just to make a sale. Q: I want to help because nobody likes identity thieves but I’m pretty sure the billing address, zip or postal code, and CVV number entered to purchase on your website are what my credit/debit card company has on file for me. Are you sure? We are sure enough to have designed this policy, and sure enough to refund all of the card owner's money if we can’t complete the verification and prove you are the card owner to our merchant account provider's satisfaction. Yes, it’s a hassle to call your bank or credit/debit card company to ask them EXACTLY what billing address they have on file for you, so you can provide it to us in checking out again. But isn’t that hassle better than unknowingly participating in a consumer culture that makes it easy for people with ill intentions to steal your money through identity theft and simultaneously increase the price of almost every product you buy through the “hidden cost” you pay to companies that consider dealing with identity thieves just one more cost they can pass along to you as the customer? We hope you agree that what we’ve asked here protects you, protects our company, and protects card owners just like yourself all at the same time.